This is more Monday Sevens as I didn’t manage to get the post done yesterday, but here’s a little glimpse into life over the past week. I was lucky to have my parents staying last weekend, having breakfast with them on Monday morning was a lovely way to start my week before heading into work. 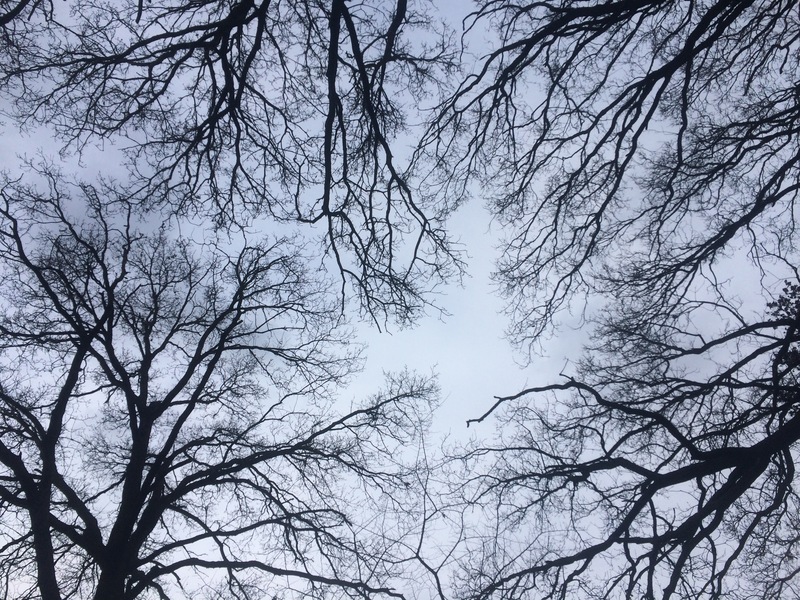 I’ve been cheered to see signs of spring, buds and blue skies, warmth on my skin. 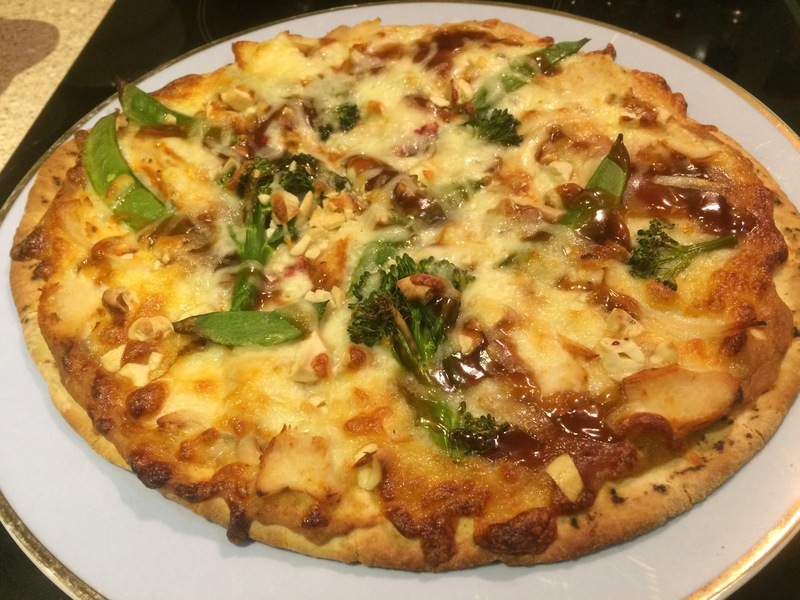 We tried a recipe seen on the local paper Website for chicken satay pizza, which was delicious! This used satay sauce instead of tomato sauce, and had cashews and hoisin sauce drizzled over the top. I added chillis to the recipe too to give a little heat. We’ll definitely be using this recipe again, it went down a treat. I’ve been enjoying the days lengthening, even leaving work while it’s still light on a couple of evenings! On Friday night I put the moth trap out in the garden for the first time. No moths, probably a little early, but I’m looking forward to seeing what might be in the garden later in the year. On Saturday we went for a long walk of almost 9 miles along byways and footpaths across farmland close to home. We’d walked some of these paths on the Bracknell Ramblers Route a couple of years ago, but most were new to us. We started walking under gloomy grey skies but as we walked the sun came out, and we were stripping off layers and enjoying the unseasonable warmth. 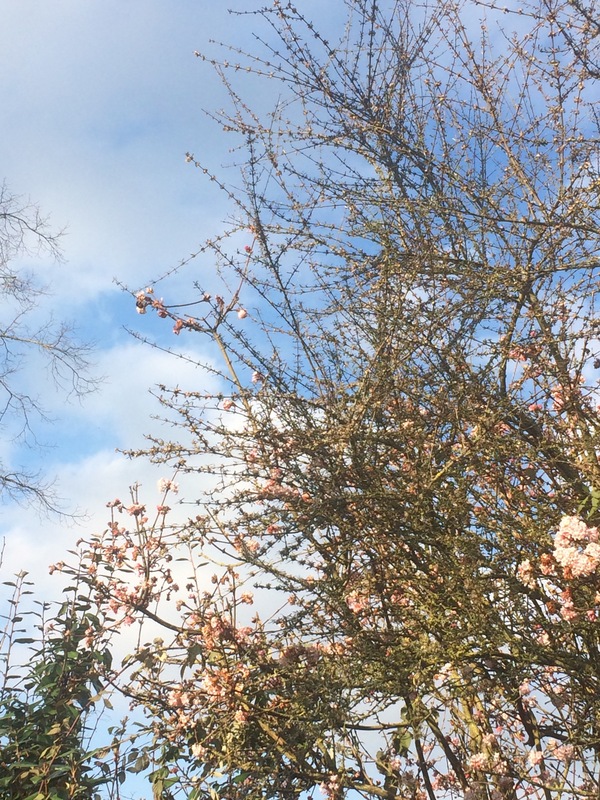 In a tree covered in blossom bees buzzed, it felt more like summer than February! 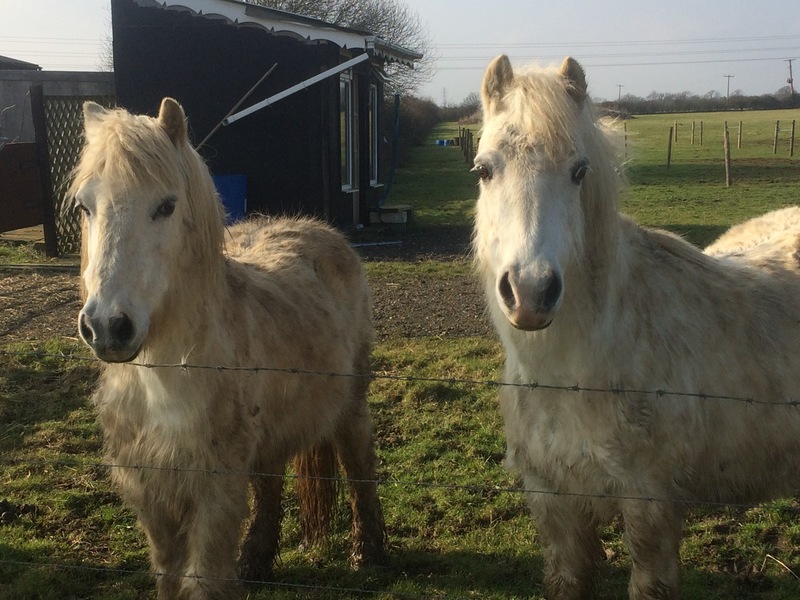 As we walked along a footpath these frisky little ponies in their winter coats gambolled across to greet us, they were very sweet and enjoyed a good nose rub. 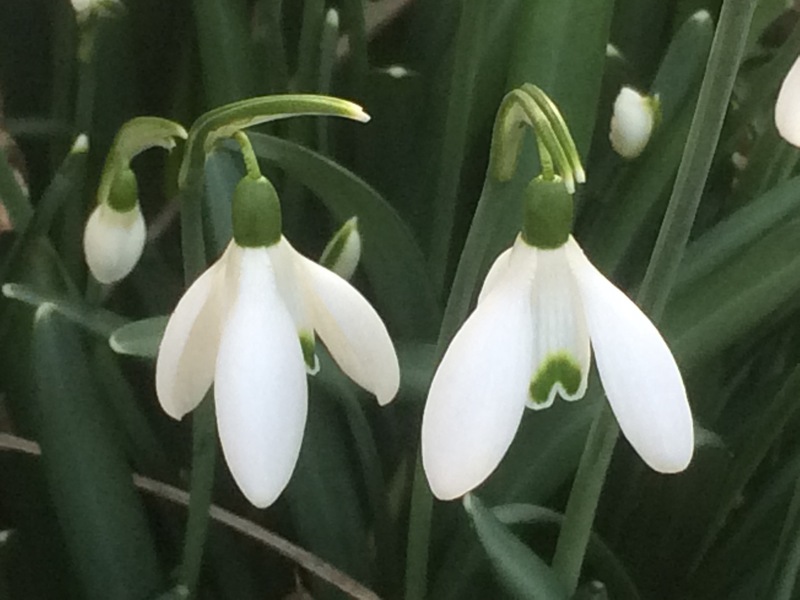 Along pathways and in gardens, snowdrops were in bloom, I love their delicate flowers with the upended green heart, so delicate and beautiful. I also saw my first butterfly of the year on the walk, too far away to note the species sadly, but a very cheering sight! 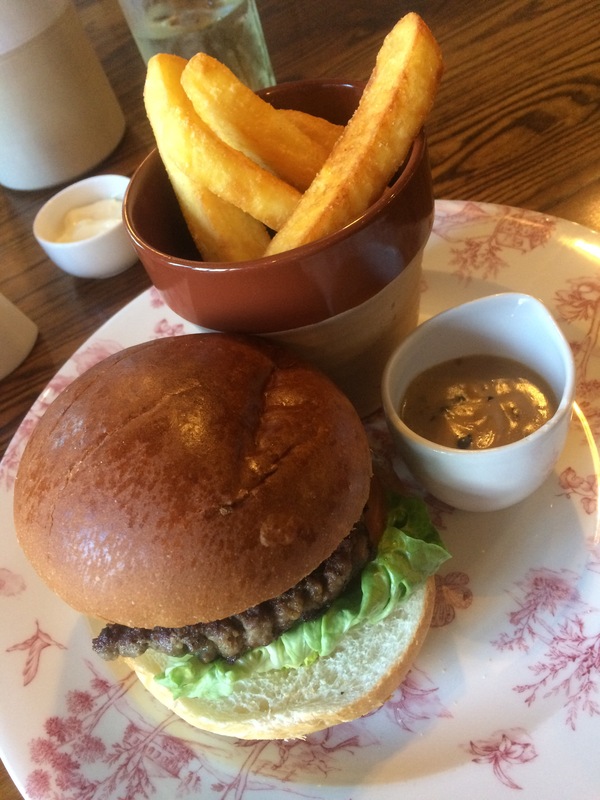 Nearly back to the start point of our walk we couldn’t resist an impromptu pub lunch, triple fried chips and rare breed beef burgers, very tasty! 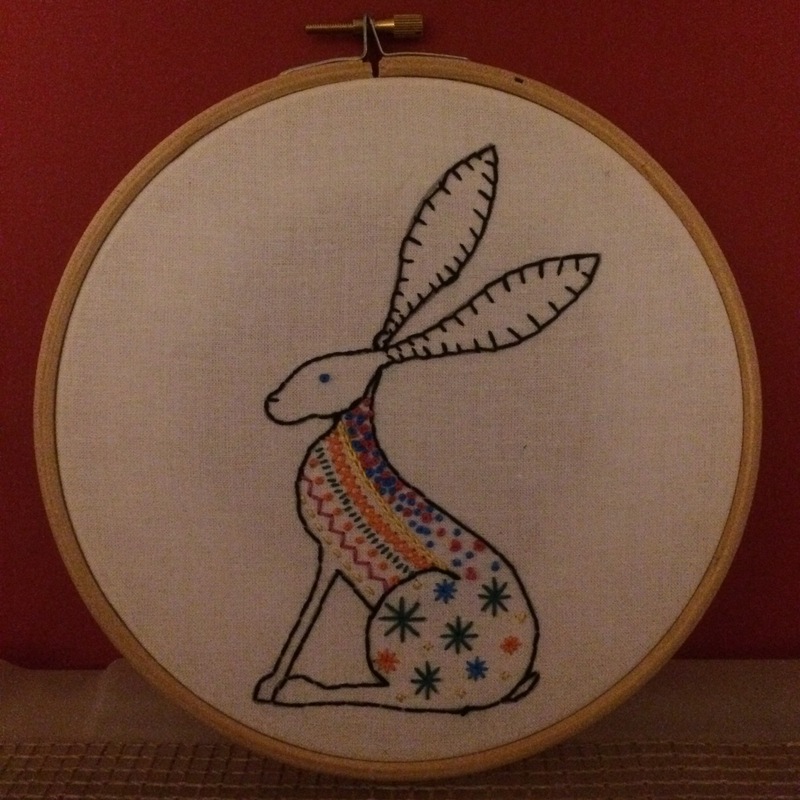 I also managed to finish my hare embroidery during the week, just working out where to display them now, I really enjoyed doing them. I’ve started on a Robin cross stitch, it’s great to have a handicraft on the go! So, that’s my week in a nutshell. 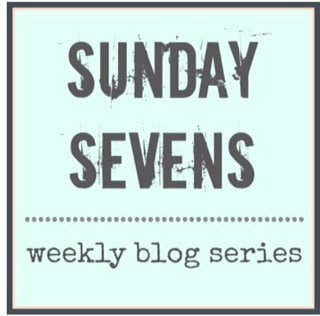 Thanks as always to Natalie at Threads & Bobbins for setting up Sunday Sevens. Hope you’ve had a good week too, what have you been up to?